LCSAA Foundation, the parent organization of the Lake County Schools Alumni Association, has launched The Lake County Tennessee Genealogy and History Website. The address of the website is http://www.lakecountygenealogy.com. This website will contact historical information and information for genealogical research about Lake County and its citizens. This website has been built by Randy Turnage who started and maintains the Alumni Websites for LCHS, THS, RHS and Lincoln Schools. Within the next few months, the website will include a database of obituaries of people who have a connection to Lake County residents or are buried in Lake County. The website will continue to grow and evolve as needed. Future hopes are to include historical photos, census records, etc. Corrections or additions to the website may be submitted to genealogy@lcsaa.org or faxed to 901.729.3601. Gifts in memory of and in honor of family members and friends are welcome at LCSAA. We will acknowledge your gift with a note to the recipient or family. Send your gift to Lake County Schools Alumni - 655 Lake Drive - Tiptonville, TN 38079 . Do include the name and address of the person we should notify of your gift. If you would like to help sponsor this site, you can send a small donation and advertise your business, make a memorial donation or an honorary gift and it will be displayed here. For more information click here. 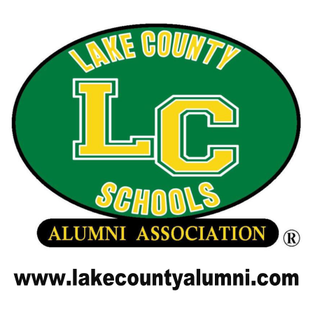 The Lake County Alumni Association and sites (LCHS, THS, RHS, Lincoln, LCHS 1983, LCHS 1983 and Main Site) are solely funded by donations. It has no association with Lake County Schools. The School System does not have a database of graduates by year, therefore all the lists have been created from annuals and lists provided by classmates. Senior photos have been submitted or scanned from LC Annuals. The sites went 'live" in mid 2008 and it took approximately 3,000 hours to build and populate the sites. It takes approximately 10 hours per week to maintain the sites, troubleshoot, and add information. All sites were created and maintained FREE of charge by LCHS Alumnus Randy Turnage (LCHS 1983).